Found in the park on a rocky trail by trees. It was the only fossil in the area, and I found a small piece like it. This is a mineral crystal. 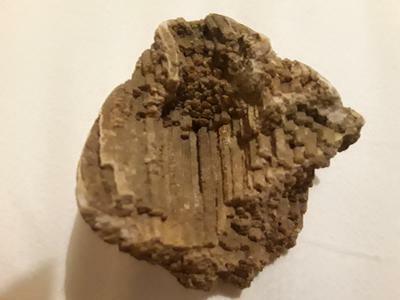 I do not know what kind of mineral. I would take it to your local rock shop and ask for help with the identification there.